The Bold and the Beautiful&apos;s Rick Forrester has been on a winning streak of late. Except for the whole business of his brother stealing his wife, Rick has enjoyed quite an extended streak of good fortune. He was finally promoted to CEO of Forrester Creations, after years of pining for the job. His father gave him the family mansion. And once he dumped the wife who cuckolded him, he reconciled with ever-supportive Maya (Karla Mosley). Rick&apos;s portrayer, Jacob Young, is experiencing his own success. 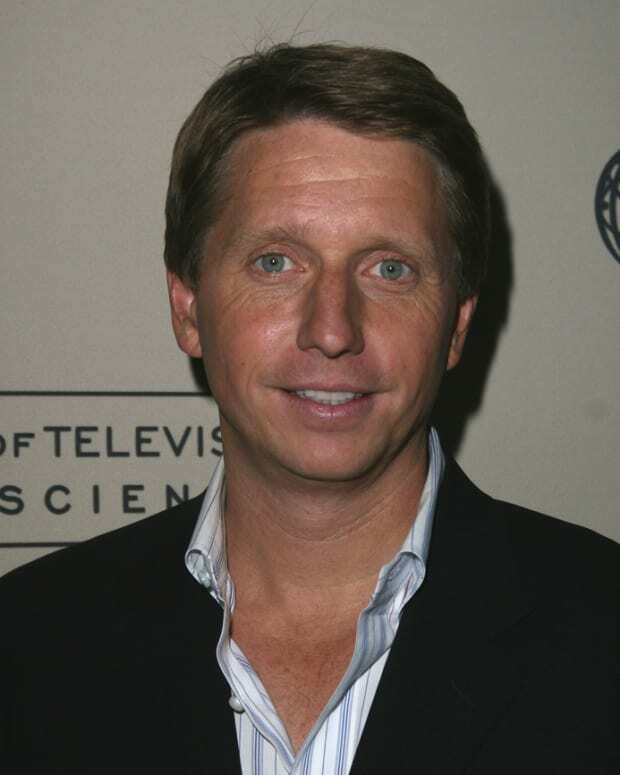 The soap opera veteran is nominated for a Daytime Emmy in the Outstanding Supporting Actor category this year. At the party celebrating B&B&apos;s Daytime Emmy nominations, Young shared how he selected his reel, revealed what he&apos;d like to see at the ceremony and teased the next twist in Rick and Maya&apos;s relationship. Daytime Confidential: What does this Emmy nomination mean to you? Jacob Young: It means a great deal. I wouldn’t say it means everything but… it’s nice to be recognized, number one. I’m so happy. I’ve been here almost four years, since I’ve been back. This last year, finally, [my] storyline started to develop and gave me the material that it would take to be nominated. So all that hard work paid off. That’s what I’m mostly thrilled about. DC: Over the course of your career, you’ve been nominated in both the Younger and Supporting categories. Is there a different feel? DC: How did you decide what to use in your reel? JY: There wasn’t a lot, right to the deadline, of what we could submit. Most of it&apos;s going to happen next year, that I have eligible, so there wasn’t a lot for me to choose from, but it just happened to be the right episode. It was the one where Maya exposes Ridge and Caroline’s affair, or so-called affair. DC: If you were in charge of this year’s Emmy ceremony, what would you include in the telecast? JY: This year it seems like they’ve got a pretty good grasp on it; that it’s going to be a good awards show. The one thing I think I miss the most is when it was at [Radio City Music Hall] we had all the fan interaction. That would be great. But obviously, since it’s at Warner Brothers, it’s probably going to be more exclusive to just the shows nominated. So that would be the one thing I’d like to have. DC: What do you think of Tyra Banks hosting the Emmys? JY: That’s awesome. It feels like this year it’s got a little more clout. DC: The Rick/Liam rivalry is playing out in real life with you and Scott Clifton both being nominated in the Supporting Actor category. Is there any sort of friendly competition or betting going on? JY: Scott is such a good guy. Absolutely not. I think we’re more just hoping one of us wins. But the rivalry has been a lot of fun. It’s great working with him. He’s so talented and we always had a good time. DC: You’re in the midst of a powerful storyline right now, The revelation that Maya is a transgender woman. Can you give us a hint about where it’s headed? JY: It’s an important storyline. If we tell the story right, it could definitely help maybe one person through their situation in life, to be able to accept it and maybe a parent learns how to accept a child that may be going through the same thing. But I can say, don’t expect to see the reaction from Rick that is how Rick would normally react.